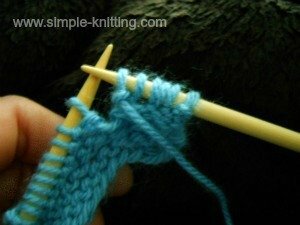 Once you're comfortable knitting the basic stitches, knit and purl, then you will need to learn how to knit an increase. 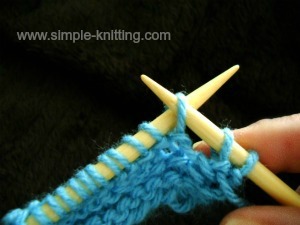 This way you can start knitting some simple knit patterns. 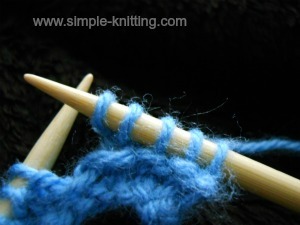 When you increase stitches you'll be shaping your knitting and making the fabric wider. 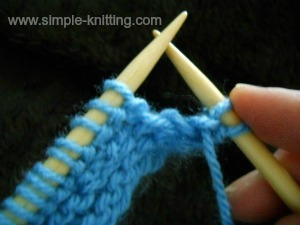 An example is when you knit a sleeve for a sweater. 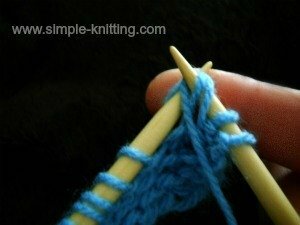 Your upper arm is wider than your lower arm and wrist area so you will gradually start increasing stitches as you knit up the sleeve. 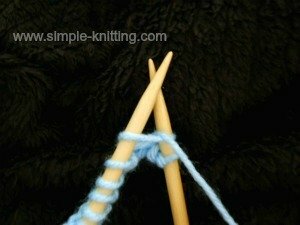 I'm going to show you the basic knit increase called knit front and back (KFB), also called the bar increase because it leaves a little bar in your knitting. It's not that noticeable and sometimes it's used as an embellishment such as shoulder increases on a sweater. It looks quite nice. And there is now a new knit increase (2017) called the knit front slip back (KFSB). 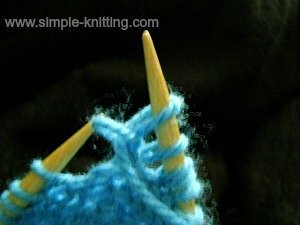 At the bottom of my increasing knitting lessons I've added a video demonstrating this wonderful new addition to increasing stitches. The knit front slip back gets rid of the little bar that's associated with the standard knit front and back so you may like to try both. 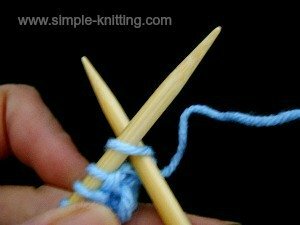 By knitting increases this way you will be making two stitches out of one. The first part is just the knit stitch but let's go through it again. With your right needle push through the first stitch on your left needle from front to back. 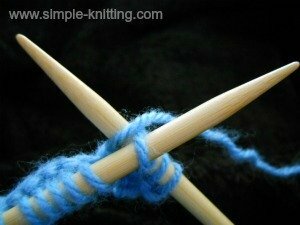 Then take your working yarn (ball end) and wrap it around right needle. 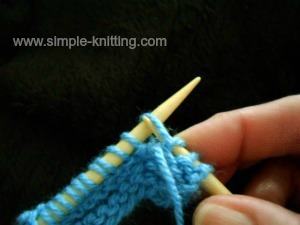 Then bring it through the stitch on the left needle just like the picture on left. (Right photo)The new knit stitch is now on the right needle. And this is where it changes a bit in order to work the increase. Don't drop the loop off the left needle. With your right needle go into back of stitch on left needle. 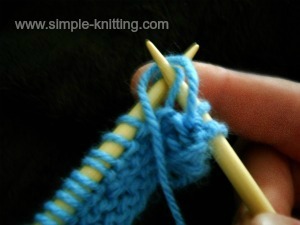 Then wrap yarn around right needle (just like the knit stitch) counterclockwise. With yarn wrapped around right needle lift left needle up and over wrapped yarn on right needle. And there you go. Pretty great isn't it? Now you know the knit front and back kfb increase. 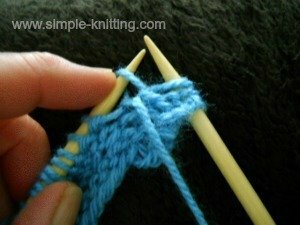 Most knitting increases are worked on the right side (knit side) which means that you would make a knit increase. Sometimes though, when you're working on a knitting pattern you will come across instructions for increasing stitches purlwise. It doesn't happen too often but you will need to know how to do it. It is a little trickier to work but it can be done. 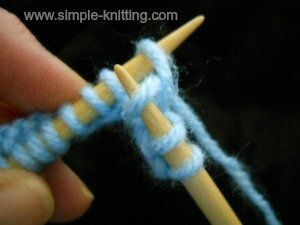 Basically what you will be doing is the purl stitch but you won't drop the loop off your left needle. 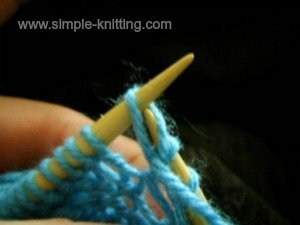 Rather, you will work a purl stitch in the back of the same loop. It's just like the knit front and back only this is the purl front and back. Here's how to do it.. Get your fingers ready. 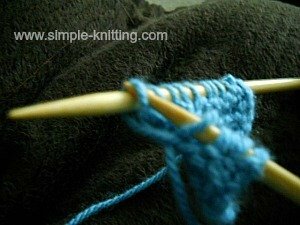 The beginning starts off with the purl stitch so make sure your yarn is in the front of your work. With your right needle insert it into the first loop on the left needle just like purling. Bring yarn around right needle counterclockwise, snug it up a bit. 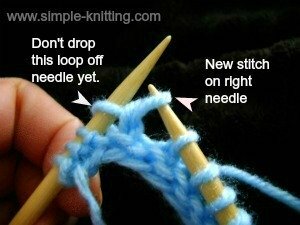 Do not drop the loop (stitch) from your left needle. You will now work into the back of that loop to create a purlwise increase. This is the tricky part and I tried very hard to make the picture as clear as possible so that you can understand. Make sure your working yarn is still in the front of your work. 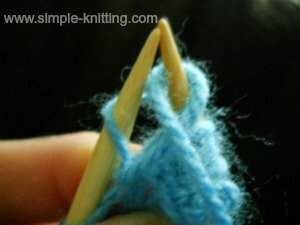 In this picture I moved my left needle around because you have to insert the right needle in the stitch on the left needle from the outside. See how I am doing it in the picture? I know this is tricky but you can do it. See how in this photo on the left the stitch is twisted? Don't worry its supposed to be like that. 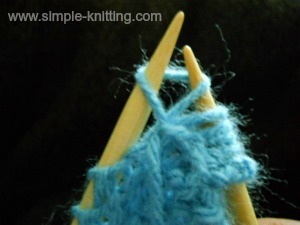 Bring working yarn around right needle counterclockwise. 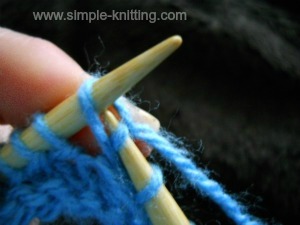 Bring your right needle with the yarn wrapped around it through back of stitch on left needle. See how my right needle is going through the stitch kind of backwards on the left needle? Just keep bringing the needle through. There you go. You can now drop the loop from the left needle. Increasing stitches isn't so difficult is it? Now you know how to do basic knitting increases and purl increases. Very recently (early 2017), in the wonderful world of knitting, someone discovered an alternative to the Knit Front Back (KFB) and I just have to share it with all of you. It's called Knit Front Slip Back. This knitting increase gets rid of the bar. Isn't knitting amazing? It's constantly changing and new ways are being found to make knitting stitches even more fun. Increasing stitches isn't so difficult right? And now you're well on the way to knowing the basic knitting increases and purl increases plus this wonderful increase alternative. 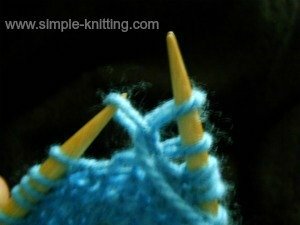 Your knitting pattern says to increase stitches evenly across a row. What do they mean exactly? A lot of times in sweater patterns for instance, after you have worked the ribbing, you will often see that you have to increase more stitches for the body of the sweater. And the increases are usually done at evenly spaced intervals across the row. Here is a great explanation for helping you figure out the proper way to increase stitches evenly across a row. It also explains how to decrease stitches evenly as well.